Rotary versus Piston: The rivalry between rotary and piston owners has long been established before many of us were born. The rotary engine represents the epitome of small displacement engines that pack a heavy punch. The first 10A rotary engine was used in the Mazda Cosmo in 1965. With a displacement of only 1.0-liter, the engine produced 110 horsepower and 96 lb-ft of torque. These are pretty impressive numbers even by today’s standards. The rotary engine has since evolved. Today the 1.3-liter 13B-MSP RENESIS engine found in the 2004-up RX-8 showcases the latest in rotary- engine technology. Mazda has always been known to produce sporty vehicles and the RX-8 is no exception. The Mazda RX-8 is a great all-around vehicle even though many people thumb their noses at the power rating. The RX-8 handles beautifully, while featuring a nearly 50/50 weight bias (52/48 actual). 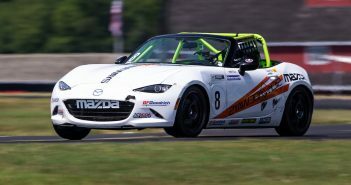 Combine that with a well-balanced suspension and the rear-wheel-drive layout of the RX-8 and you have one of the best handling sports cars around. The passenger compartment is refined and can seat four adults comfortably. 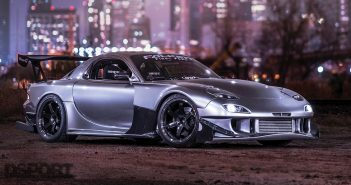 The drawback of the RX-8 platform is the power, or lack of it. Rated from the factory at 237 horsepower and 159 lb-ft of torque at the flywheel, our specimen generated the equivalent of 212.7 flywheel horsepower. The engine is a far cry from the more potent twin-turbo 13B-REW variant found in the third-generation RX-7. Given this common critique of the Mazda RX-8 we decided to play upon its strengths and address its area of weakness. 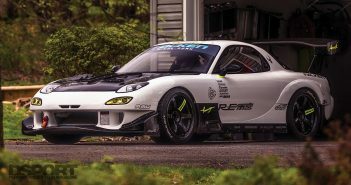 To increase the fun factor of the RX-8 we enlisted the help of Racing Beat for some power-producing products. One of the attractions of the rotary engine is the unique engine sound it produces. The job of most factory exhaust systems is to silence the exhaust without dramatically hindering the performance of the engine. 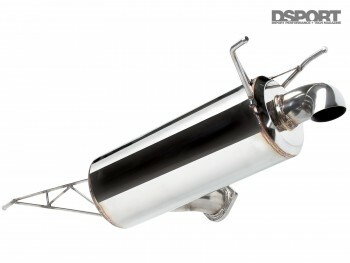 The Racing Beat RX-8 Race Exhaust System is a lightweight exhaust that is intended for both street and race applications. Compared to the factory exhaust system that weighs 39 pounds, the Racing Beat system weighs in at 25.5 pounds. This is a full 13.5 pounds lighter than stock. All components of the Racing Beat exhaust system are constructed from 304-stainless steel for increased durability and strength. On the Racing Beat system, the decorative tip outlet has been replaced with a downward-angled outlet pipe. 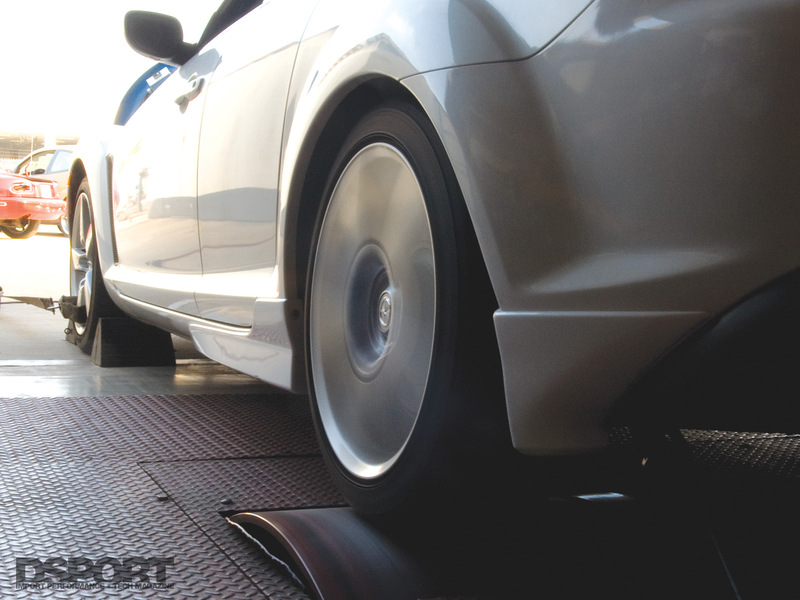 The Racing Beat race exhaust is certainly not your run of the mill exhaust system. Visually, the system takes a little getting use to. 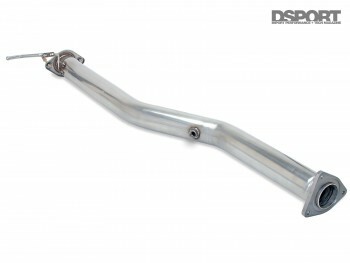 The RX-8 Race Exhaust System comes with all the necessary hardware for a complete install. Up next on the rotation, we elected to upgrade the factory air box with a Racing Beat REVi Intake System. The REVi Intake System features an OEM-style air box assembly with a custom-designed K&N filter. The key to the REVi system is the aluminum mass airflow sensor tube and tuned-length air inlet horn. 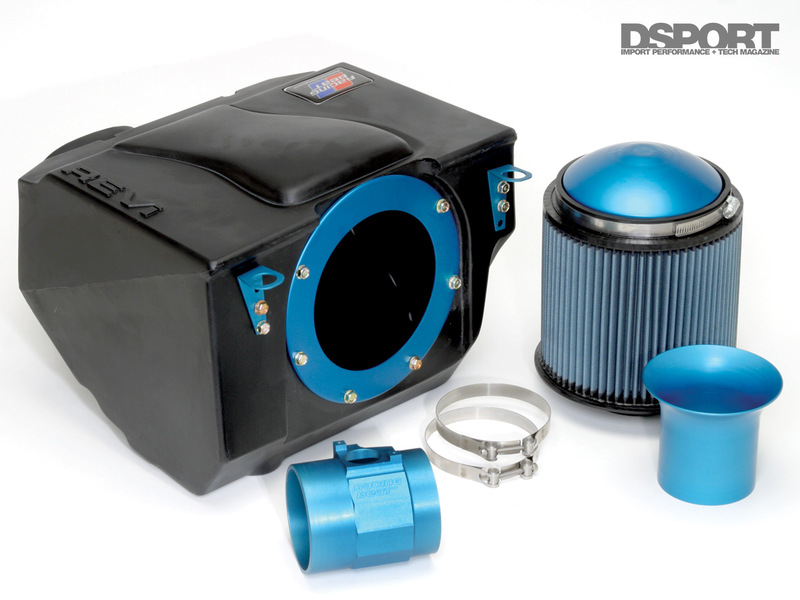 One of the benefits of the REVi Intake System air box assembly is sound suppression. Compared to some tube-and-filter intake systems, the REVi intake box muffles the loud intake noise that is generated by the engine. As an option, the REVi Intake System can also be used in conjunction with Racing Beat’s REVi Ram Air Duct. The inlet of the Ram Air Duct is positioned in the mouth opening of the Mazda RX-8 bumper to allow cooler ambient air to be force-fed directly into the REVi intact tract. The last modification to be performed on the RX-8 was Racing Beat’s catalytic converter replacement pipe. The mandrel-bent 3-inch racing pipe is a direct bolt-on replacement for the stock catalytic converter section. The Racing Beat replacement pipe is significantly lighter than the stock catalytic weighing in at 13 pounds, a good 12 pounds lighter than stock. Racing Beat uses a genuine OEM rear-mounted flange, ensuring a secure fit to the exhaust system. The race pipe comes with all necessary mounting hardware and instructions for a perfect install each and every time.